Bosnian pot is your typical Balkan stew overflowing with vegetables and meat. You know how each region has a certain saying like “an apple a day,” etc.? Well in the Balkans the saying goes you should eat something with a spoon each day. So get your spoons out! My friends often can’t understand why I start dinner with (usually chicken) soup. Most only eat chicken soup when sick. As for me, I’m so used to having it before dinner, the rest of the meal feels dry if I don’t. This is why I love stews; they’re practically a whole meal in a soup. Add some homemade bread plus sour cream, and I’ll take it over cake any day. Historically Bosnia was a mining country, and so the origin of Bosnian pot stew (bosanski lonac) is traced back to the miners. As they did strenuous work for several hours before resting, they had to come up with a meal that would not only be ready just in time for their break, but also give them enough energy to finish up work for the day. The solution was a large clay pot filled with layers of meat and veggies cooked over fire the entire morning. By the time they came up for their well-deserved meal it was not only ready, but also extremely satisfying. According to Mr. Lakišić, who wrote extensively about Bosnian cuisine, at some point Bosnian pot stew expanded its popularity from miner fire pits into the kitchen. 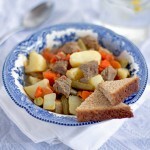 A part of the approach was changed but the stew kept two important components. Bosnian stew pot is cooked for a long time, and is cooked for a lot of people. At the time when it gained widespread popularity, people used to bring their pots filled with ingredients to local bakeries in the evening, and pick them up in the morning after they’ve been simmering all night in the bakery ovens. I know what you’re thinking, but don’t turn away just yet! 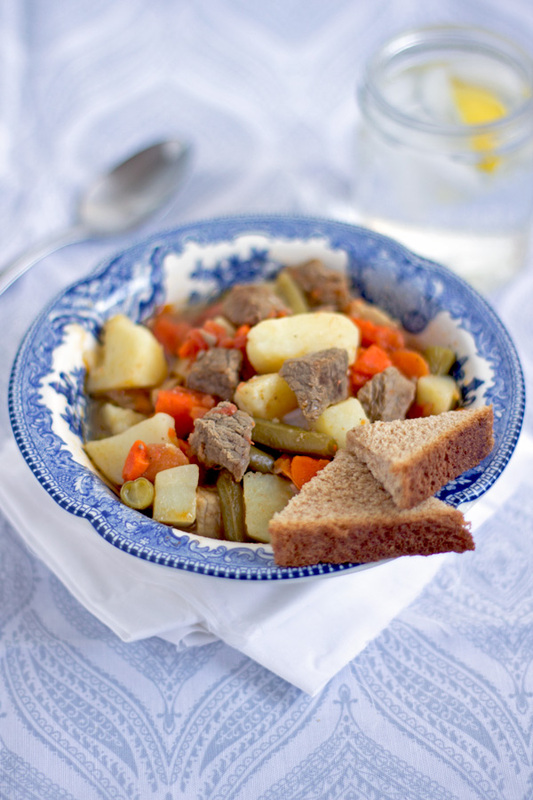 The version of Bosnian pot stew I’ll introduce to you today is a simplified version. It takes a lot less time (about 2 hours) and it’s prepared for 4-6 people rather than 12-14. But it still has that depth and feel of a stew cooked for a long time, and will leave you feeling invigorated. Bonus: forget clay! You can use a regular pot. Final recommendation is once you combine all ingredients, you can mix them once but then don’t mix the stew until it’s finished. Put the oil in a large pot over medium-high heat. When it’s hot, add the onion, garlic, and beef stirring occasionally for about 15 minutes. You can add a little water here and there to keep it simmering. Lower the temperature to medium, add carrots and continue simmering. Every few minutes add another ingredient: green beans, then potatoes, then tomatoes and sugar, all while adding a little bit of water in between. By this time the meat has been simmering for about 30 minutes, and vegetables a little less. Add 3-4 cups of water (so it covers the ingredients, plus a little more). Add salt and pepper. Mix. Cover with lid, leaving a little bit uncovered. Lower the temperature to low, and leave to cook for 90 minutes. 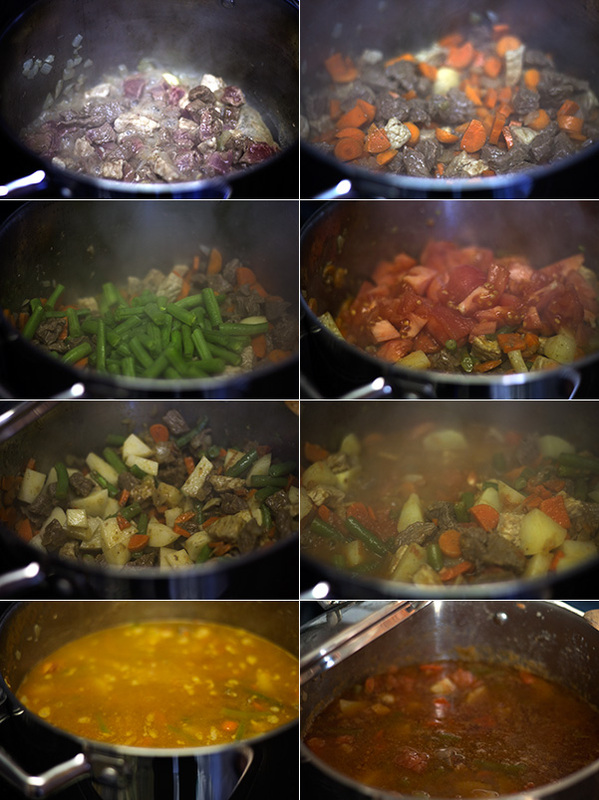 I’m all about the hearty stews this time of the year – looks wonderful! Thanks Ashley! ‘Tis the season for comfort food. 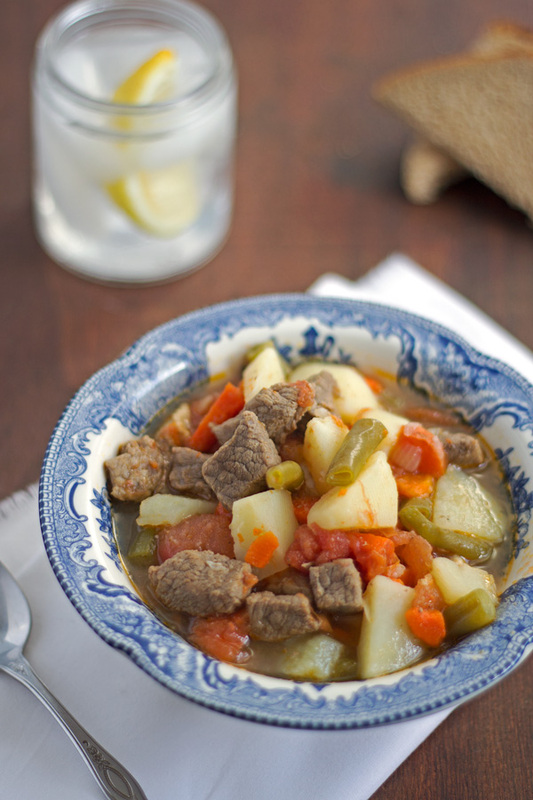 I love stews this time of year and this one looks absolutely amazing! I love love LOVE stew! My husband would love this since you don’t do the typical mirepoix with celery. Using green beans is a perfect choice I never would’ve thought of! Thanks for adding to my dinner possibilities. This will certainly become a regular at our dinner table! I’m glad to hear that! Celery is great, but it does take stews in its own direction. Let me know how it turns out if you do it. By garlic clove, do you mean one flake, or the entire pod? Also no chilli pepper? One little garlic clove as opposed to the whole garlic head. (I haven’t heard the term flake before.) No chili pepper. Chili is not used too much in the Balkan cuisine, except in some dishes including the beans. Kind thanks for this family stew. I have a question however: you do not mention herbs or spices. Can you suggest any traditional options? I would be very grateful. Traditionally, Balkan food doesn’t really utilize many spices and herbs. Usually it comes down to salt, pepper, parsley, and sometimes Vegeta (which is a brand name for this mix of different herbs and spices akin to seasoned salt). For pizza there is also oregano, and basil for some other dishes. But yes, people are not too adventurous in the spice dept here. 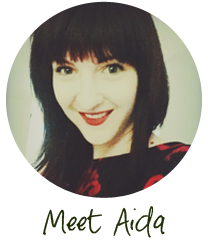 Remember Bosnian pot without meat…. recipe looks good, I’ve seen people put tomato paste and add ajvar as well. what do you think? Sure, why not! We’re all about adjusting the taste until you find the one you like.